The Berkeley Balkan Bacchanal presents a new rotation of bands the Starry Plough Pub on the second Friday of every month. 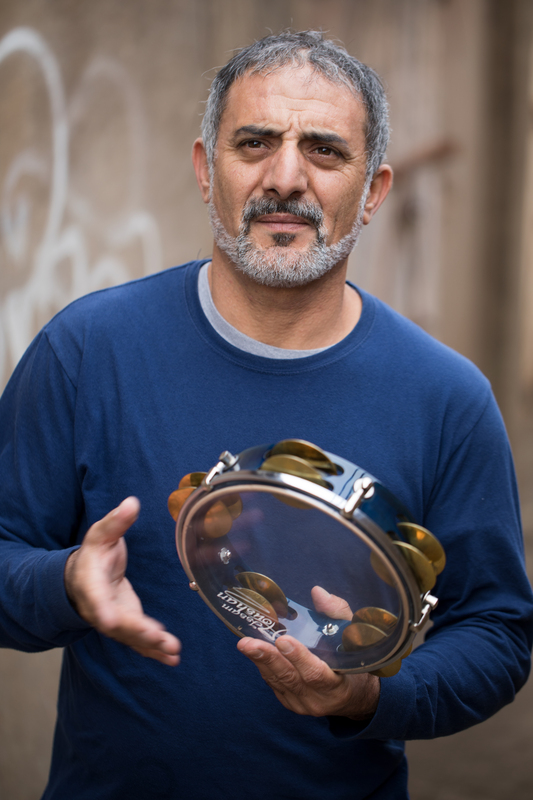 Berkeley Balkan Bacchanal is a concert series featuring the other-worldy talent of musicians from the Bay Area and beyond performing Eastern European folk music. A hub in the Bay Area Balkan music scene, the bacchanal provides a platform for a community of performers, folk dancers, regular attendants and new friends to revel together every month since 2011. Alex Hand graduated from the University of Nevada, Reno’s jazz program in 2011 with a bachelor’s in guitar performance. After touring the country and beyond with west coast bands from Portland and Los Angeles, including LA-based French swing singer, Jessica Fichot, Alex has been living in the San Francisco area for five years teaching and performing. The Alex Hand Band released their debut album, Traders of the Lost Arts, in 2018 of traditional dance music from Eastern Europe arranged for a guitar-led jazz ensemble. Alex has performed for the Midwest Gypsy Swing festival, and Montreal’s Francofolies festival. 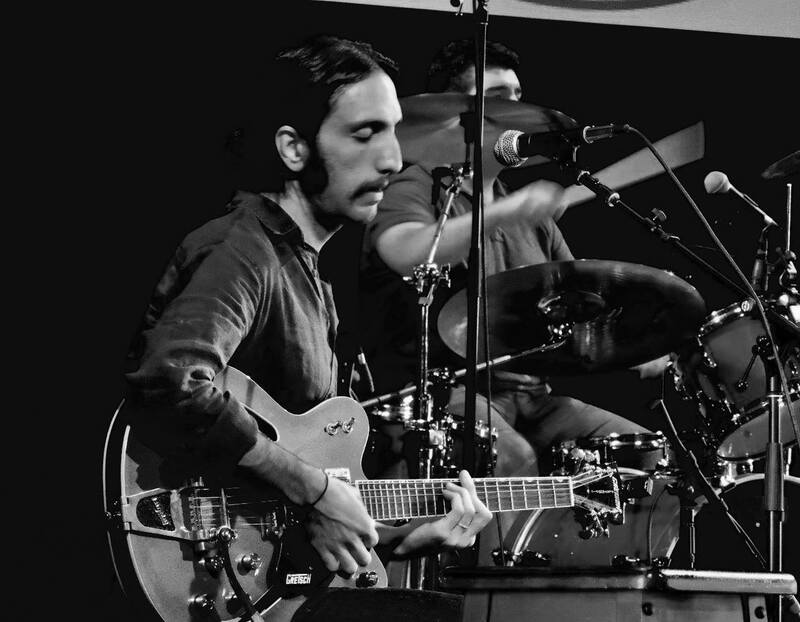 AHB is working on their second album of Eastern European folk jazz, due in summer 2019, and will feature Chris Trinidad on bass and Isaac Schwartz on drums. Be sure to catch their last Bay Area performance before Alex moves to Texas for grad school in June! Discover Georgia—music is my life, is a cultural program presented by “Iveria”, a small collective of well-known Georgian performers: Irakli Rusia (Iveria), Zaza Korinteli (Zumba) and Giorgi Kikvidze. The group’s intention is to popularize Georgian culture and art in the United States and become a cultural bridge between Georgia and the United States. In Georgia, the special love to the land and harvest is preserved by generations and is expressed through ancient customs, architecture, fine and folk art, poetry, folk singing called polyphony and unique dance tradition. Saul Goodman’s Klezmer Band comes from a musical tradition tracing back to the old world shtetl of Szrensk. Incorporating post-immigrant sounds rooted in klezmer, Saul Goodman’s music moves the spirit and the dance. It’s always a simcha with Saul! We’ll be debuting some new compositions, as well as some old gems dusted off from Beregovski and Kostakowski collections. And we’ll feature special guest percussionists on xylophone and drum kit. Dan Cantrell (accordion), Greg Jenkins (sax & clarinet), Josh Mellinger (percussion), and Travis Hendrix (bass). Dan Cantrell is an Emmy-award winning composer and multi-instrumentalist who has emerged as one of the most virtuosic and well-known American accordionists. Dan is appreciated by audiences and collaborators his love for the idiosyncratic and flawed beauty found in live acoustic performance and his exploration of haunting and mysterious ambient sound textures. 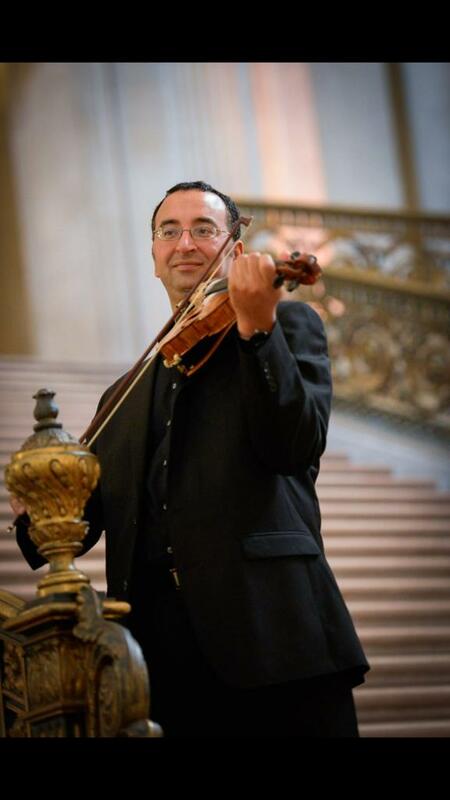 Gregory Masaki Jenkins is a San Francisco Bay Area born and raised professional musician and educator who is known for his skill and passion for the music of the Balkans on clarinet, alto saxophone, and voice. 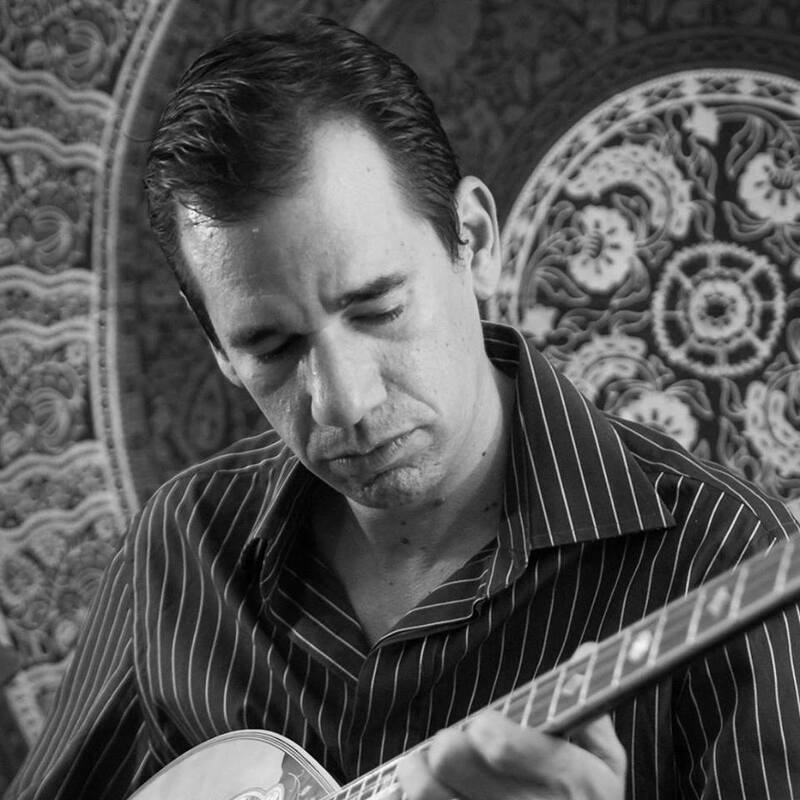 Travis Hendrix spends his time composing and performing music, in jazz and Balkan folk ensembles on clarinet and bass. 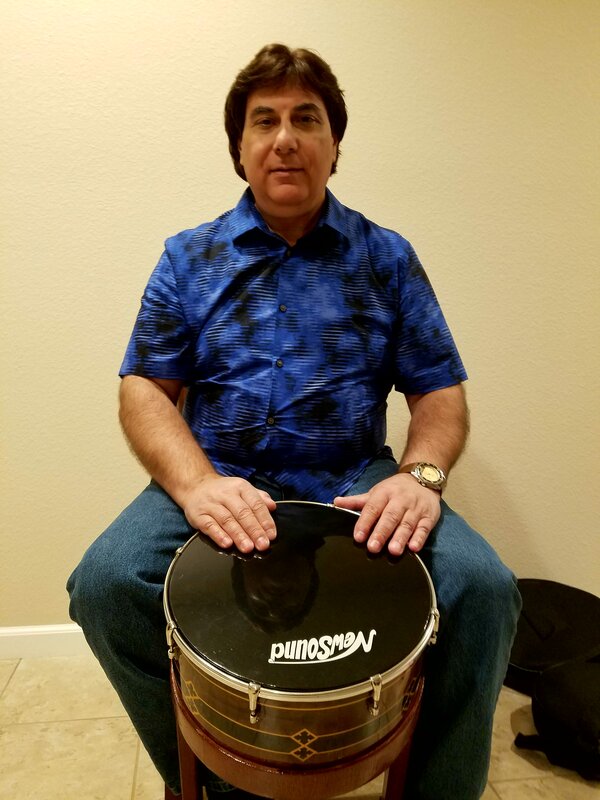 Josh Mellinger is a multi-instrumental professional percussionist based in the San Francisco Bay Area and educated at Calarts and actively performs middle eastern, indian, african and gamelan traditional styles of percussion. Lars and In Charge plays high energy fiddle tunes from Turkey, Greece and beyond. Lars Tergis leads the charge on violin with original compositions and driving, gritty interpretations of the classics. Chris Reid adds a touch of ‘West’ with percussive chordal accompaniment on acoustic guitar while Faisal Zedan keeps the beat popping on derbekki, riq and cajon. Staro Vino is balkan folkdance band specializing in the vintage repertoire of Bulgaria, Greece, and Macedonia. Staro Vino is Mark Jenkins (percussion and vocals), Andrew Cohen (accordion), Greg Masaki Jenkins (clarinet and vocals), and Peter Bonos (trumpet). The Berkeley Balkan Bacchanal Presents Orchestra Euphonos with Ionela Guzic (Romania) and Kef (on tour from Eugene, Oregon) for an EXTRA bacchanal in March. Joined by folk singer Ionela Guzic, Orchestra Euphonos presents a special program of traditional Romanian music featuring vocalist Ionela Guzic trumpeter and bandleader Peter Bonos, Balder ten Cate on cimbalom, accordionist Zina Pozen, clarinetist Asaf Ophir, drummer Ivan Velev, violinst Matthew Stein, guitarist Yağız Şen & bassist Leo Suarez. Ionela Guzic is a talented young singer and a rising star in the world of Romanian traditional music. She has performed with many iconic musicians from Romania (e.g., Ansamblu Doina Gorjului, Ionica Minune, Cristinel Turturica) and Moldova (e.g,. Lautarii din Chisinau, Fratii Stefanet). Ionela was born in Targu Jiu (Romania), and graduated from the Music Department in Craiova. She has received numerous awards at national and international folk music competitions. In 2015, Ionela published “Spune-mi mamă ce e doru”, an album of songs that represent the beauty of the folklore from the Gorj region where she grew up. The album was received with widespread acclaim, was featured on many radio and television stations in Romania, and helped launch Ionela’s international career, including tours in the United States. Ionela’s second album is set to be released in August 2019. Orchestra Euphonos is a Bay Area-based Eastern European folk and klezmer band, performing traditional music from Moldova and Romania. Their performances are joyous occasions filled with wild takes on old favorites, group improvisations and more than a few opportunities to dance. 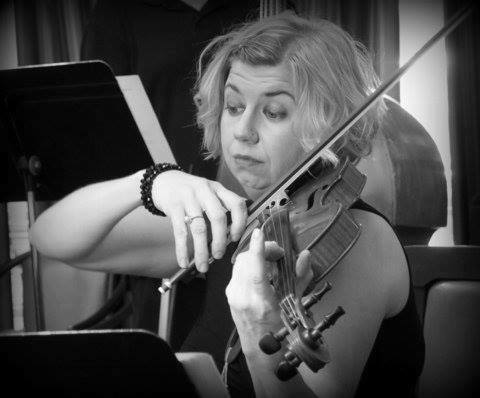 Ionela first met with Orchestra Euphonos in early 2018, when she was visiting California to perform for the Romanian community. Kef is Eugene’s own Balkan dance band. Focusing on music from Bulgaria and Macedonia, their repertoire is equally suitable for a folk dance or a late night party. With two trumpets in tight harmony, they cover the sound of Romani (“gypsy”) and Macedonian Greek brass bands on the one hand, while on the mellower side their accordion, cello and guitar players can create a relaxed texture beneath beautiful vocal melodies, all with the solid driving pulse of a drummer adept in the many and varied rhythms of Balkan music. 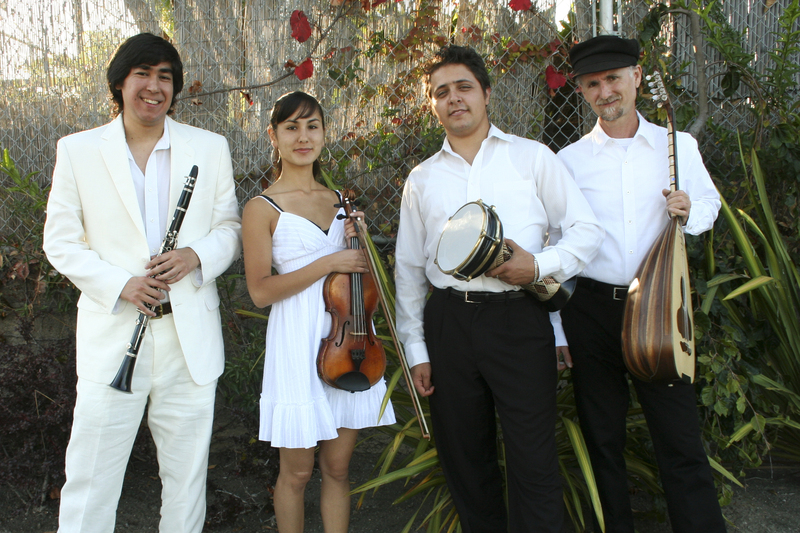 Alaturca Connection is a Turkish music band formed by Bay Area’s widely acclaimed musicians. 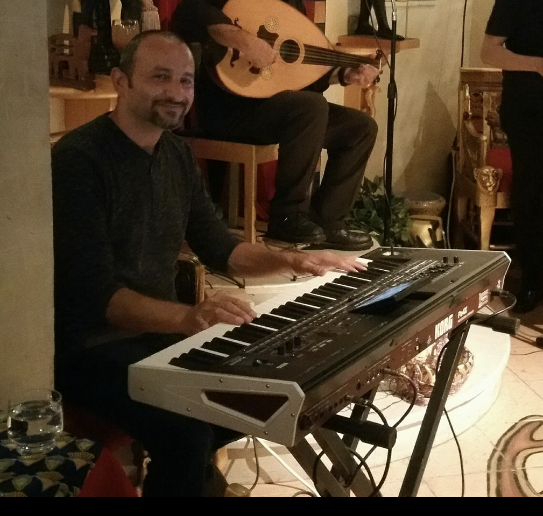 Each band member brings musical depth and years of experience in playing a broad repertoire of classical, folkloric and contemporary Turkish, Balkan and Roman songs. They perform regularly at community events, weddings, and shows at various San Francisco venues. The band has also been an active supporter of social projects including underprivileged girls’ education and organizes an annual event called Gelecege Sarkilar (Songs for the Future) on March 2, 2019 to support the cause. Boasting supreme musical talent and intuition, harmonizing voices, and upbeat tempo. The young duo of Giorgos Frantzeskakis (violin) and Giorgos Stratakis (Cretan laouto) has become growingly popular throughout the island of Crete, and especially within their native area of Hania (Western Crete). Bay Area-based Balkan Ensemble Merkalii & Rumen Sali Shopov pick you up and spin you around with their energetic Balkan and Romani dance tunes! Rumen Sali Shopov is an internationally acclaimed musician, arranger and band leader who has inspired many local musicians and groups. Balkan Ensemble Meraklii grew out of his Balkan and Romani Ensemble music/singing workshop at the Berkeley Jazz School. The Helios Band is one of the most versatile Greek bands in Northern California, playing traditional Rembetika, Laika, Nissiotika, Demotika and Modern Greek music. 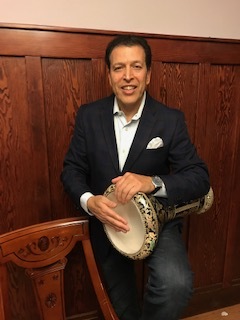 Helios has performed at Greek Festivals throughout the western U.S. and has also performed at celebrity weddings in the Bay Area. The outstanding musicianship and vocals of the Helios Band members make each performance a truly special and memorable event. The Berkeley Balkan Bacchanal presents a new rotation of bands the Starry Plough Pub every month. 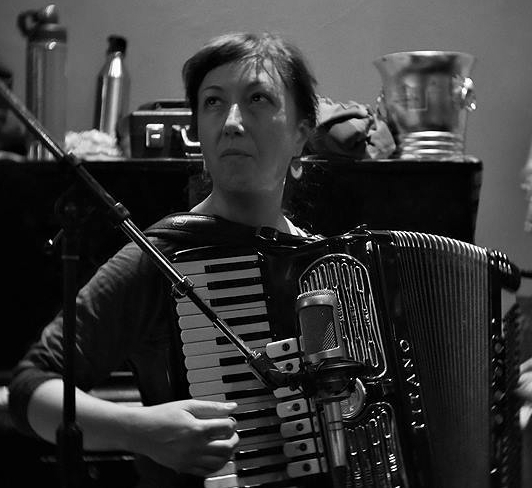 Berkeley Balkan Bacchanal is a concert series featuring the other-worldy talent of musicians from the Bay Area and beyond performing Eastern European folk music on the second Friday of the month. A hub in the Bay Area Balkan music scene, the bacchanal provides a platform for a community of performers, folk dancers, regular attendants and new friends to revel together every month since 2011. To have “La Pêche” is French for being in a particularly good mood and great form ; a feeling the band immediately conveys with its fiery energy and unique sound, taking roots in traditional musics from Eastern Europe and the Balkans. Born in 2012 out of a residency at the legendary Café Revolution in San Francisco, La Pêche quickly grew under Saxophonist Paul Bertin’s direction to become one of the most original players in the California Balkan scene. Always reinventing itself while paying respect towards traditional music, La Pêche brings out the juiciness of melodies old and new in a dazzling feast for the ears! Mahala is a new collaborative project, bringing together some of the finest musicians from the local Bay Area Balkan music scene. We will bring you traditional as well as original music in the traditional and Lautari Romanian and Moldavian style. George & Nikolas Parisis grew up in Lodi, CA and have played traditional Greek folk music from the island of Crete for over a decade. Both brothers play mandolino, however George is a highly skilled laouto player and Nikolas excels at the Cretan Lyra. They are self taught since age 14 and currently George works as a science teacher while Nikolas is a medical student.